Gemma Noon lives with her family and pets in Alberta, Canada. 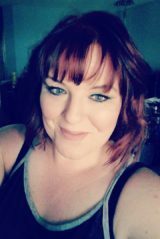 A former librarian and education manager, she is currently busy learning to thrive with chronic illness while maintaining a writing career and taking care of her kids. When not buried in reading or writing books, she can be found arguing with strangers on the internet or binge-watching Supernatural.